For the second year in a row, Dominic Rankin, a seminarian for the Diocese of Springfield in Illinois and a fellow Quincyan, is once again teaming up with eight other seminarians at the Pontifical North American College in Rome and the papal charity Aid to the Church in Need to run across Italy to pray and raise funds for the Christians suffering in Iraq and Syria under the Islamic State. Dominic Rankin is fifth from the left. 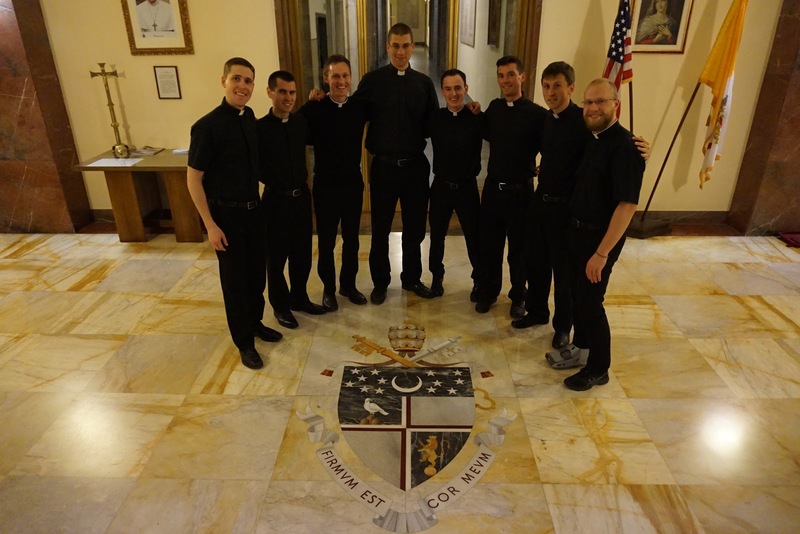 The group of nine seminarians will run across the width of Italy on 6 May 2017. The runners hope to raise $10,000, all of which will be given to Aid to the Church in Need and used in the food package project. Thus far, the group has raised $6,395.00 Let's put them over the top by supporting Dominic! An anonymous donor has already agreed to match whatever amount they raise, up to $500,000! Dominic has set a goal of raising $500 and is nearly half-way there. Please, join me in supporting Dominic both prayerfully and financially by making a donation here. No gift is too small to help support our brothers and sisters living in the midst of persecution. This year, I won't have a marathon a week before the Roman Run, but it will no doubt still be a struggle, but one, like last year's, that is totally worth it! Peter encouraged his disciples to "rejoice that you participate in the sufferings of Christ, so that you may be overjoyed when his glory is revealed"[1 Peter 4:13] and Paul gives us the same message, "I rejoice in my sufferings for your sake, and in my flesh I am filling up what is lacking in Christ's afflictions for the sake of his body, that is, the church," [Collossians 1:24]. In our struggles, in our sufferings, in our sacrifices, we are truly joined with Christ, and all the members of His body who are united to Him. Join yourselves to Christ! Join us in supporting, and having com-passion with the Christians suffering in Syria! Please, pray for them, and pray for us! If you can, contribute to the run so that their families, homes, and faith can be sustained! 100% of any financial gift will go directly to them (and doubled by a doner! ), and 100% of any spiritual gift will be all the more appreciated, and multiplied 100-fold by a not-so-anonymous Giver! 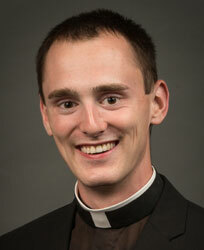 Dominic is currently in his third year of theological studies in Rome.